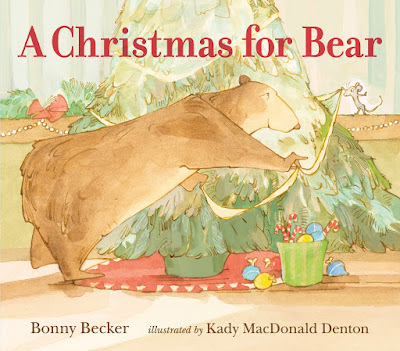 Our first choice is A Christmas for Bear written by Bonny Becker and illustrated by Kady MacDonald Denton. 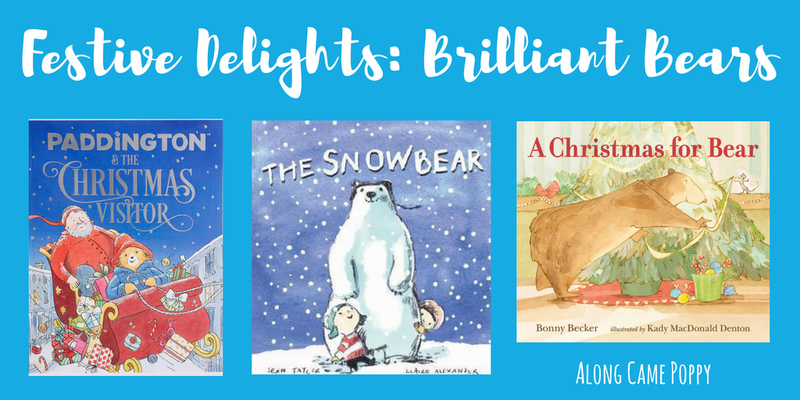 This is our favourite of the three books we are sharing today and one that Mini Reviewer, Theo (3), has really taken a shine to! 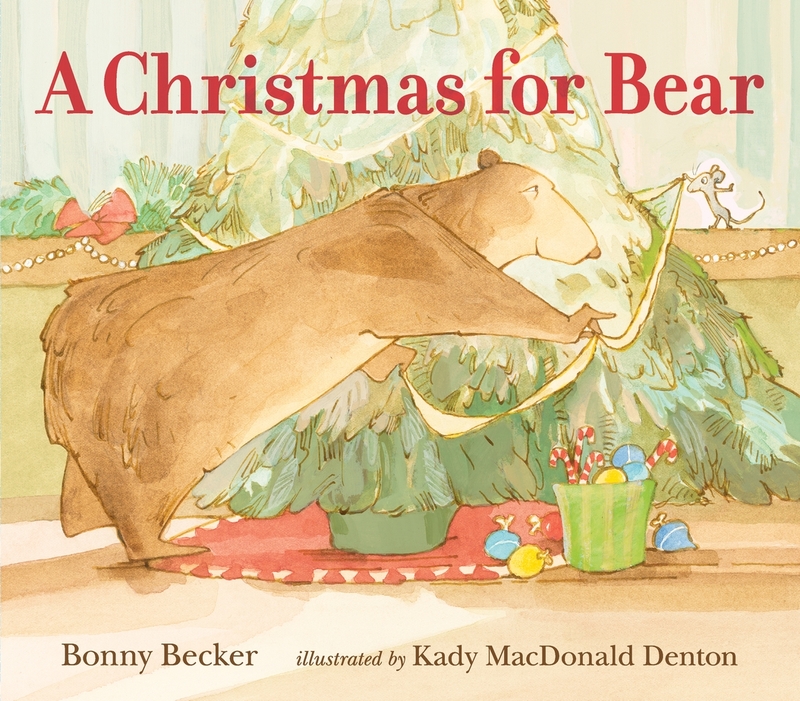 In the story Bear is having his first ever Christmas party and his friend mouse is determined to find the Christmas presents. However, Bear keeps telling Mouse that there are no presents. Mouse is bitterly disappointed and keeps looking but Bear seems to think Christmas is all about pickles and poems! This lovely book about friendship and Christmas spirit is full of humour. The illustrations perfectly capture the essence of the story and the frustrations of both characters. We don't want to spoil the story but there may be some surprises for both Mouse and Bear at the end! 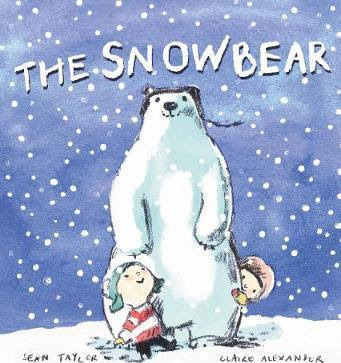 Our next choice is The Snowbear written by Sean Taylor and illustrated by Claire Alexander. This is a beautifully illustrated book about what happens when two friends, Iggy and Martina, make a snowman that looks more like a bear. When the two friends need help in the snow, is it their magical snowbear that rescues them or simply their imaginations running wild? And what happens to their snowy friend the next day? This wintery tale has caused great debate in our house! Our final choice today is Paddington & The Christmas Visitor, a lovely festive tale based on this year's M&S Christmas advert and inspired by the original Paddington stories written of course by the late Michael Bond. This new story has been written by Timothy Knapman, illustrated by Becky Cameron and created in partnership with HarperCollins Children's Books. In the story it's Christmas Eve, Paddington hears a thud on the roof, he sees a man with a red coat so it must be Santa Claus! If you have watched the advert, you will know that it is not Santa Claus but a naughty burglar. However, touched by Paddington's kindness in the form of a Marmalade sandwich, the red coated chap decides to turn his life around. 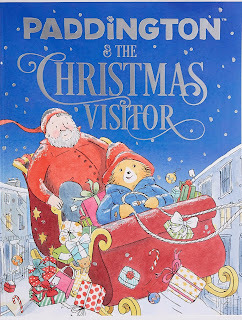 A great reminder of the true meaning of Christmas and a story to be enjoyed by Paddington fans young and old! The book retails at £3.00 and £2.00 of this goes to the NSPCC to support Childline. You can buy a copy online here or in store. We hope you are enjoying our festive delights, we still have 11 more books to share with you. 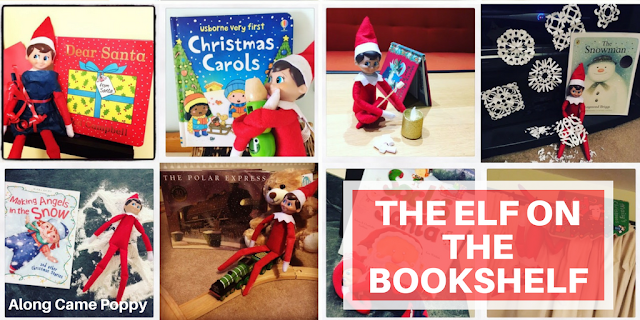 I have started to think about Elf on the Bookshelf ideas to accompany our choices, the problem is I set the bar way too high last year, so if anyone has any ideas, do let me know! *Disclaimer: We received review copies of A Christmas for Bear and The Snowbear from the publishers. The new Paddington book was a gift for Mini Reviewer, Izzie. This post contains Amazon affiliate links. They all looks so festive and beautiful. I love Paddington, so that one definitely appeals.